In anticipation of newly arriving asylum seekers, Immigration Customs Enforcement (ICE) has begun to release detained families with little preparation and no support. ICE is now simply dropping recently detained families at bus stations without any guidance on their departure information and without fully understanding the next steps in their immigration cases upon release. These individuals often do not understand the legal process or how to be reunited with their sponsors. American Gateways is deeply troubled by this latest immigration policy change. “This most recent inhumane practice, of simply leaving vulnerable parents and children at a bus stop, shows once again the callousness of our immigration system” said Rebecca Lightsey, Executive Director of American Gateways. To help this very vulnerable population American Gateways is providing legal information and assistance to these families. 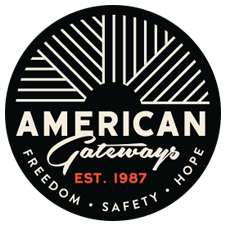 American Gateways will be helping the families understand the legal process and their legal obligations under our current immigration laws. It will also be giving these individuals information on how to find legal assistance when they reach their destination. “We urge ICE to treat all families with humanity and dignity,” Lightsey said.